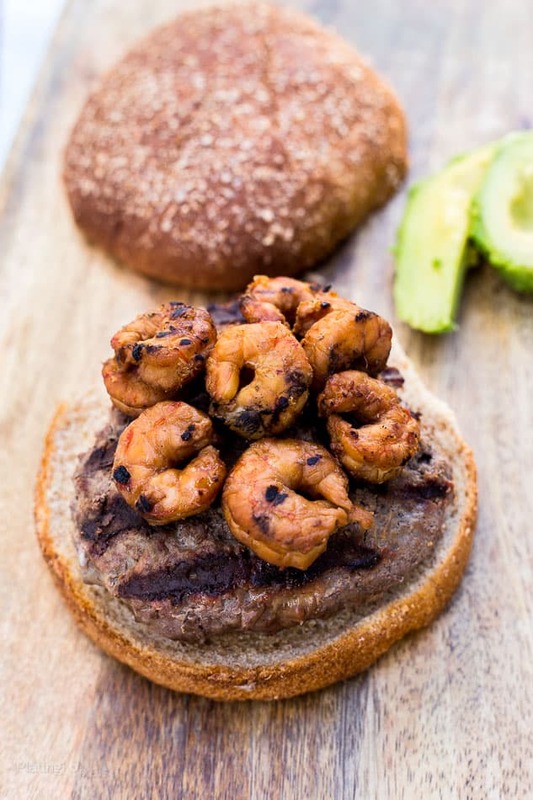 Grilled Teriyaki Surf and Turf Burgers are a unique summer hamburger recipe. Teriyaki marinated shrimp, beef and avocado. It’s Surf ‘N Turf made easy. Surf and Turf is a lovely combo of seafood and a land-based protein. One of the most common pairing is lobster and steak, and is usually on the high-end of restaurant menus. There’s something about the tender, mild seafood flavor mixed with moist, rich beef that creates a rewarding meal. If you want to enjoy this unique pairing at home, and in a budget-friendly way, these Grilled Teriyaki Surf and Turf Burgers will more than satisfy. For the burger, I like to use lean ground beef when grilling, 93% lean works great. 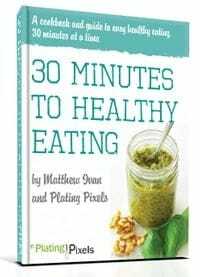 One might argue that a higher fat percentage creates juicier burgers, but I personally think lean works better. I’ve found mixing an egg with lean ground beef helps with moistness and texture. An added benefit of lean beef is less of the meat and moistness cooks off, it doesn’t flare up as easily and has much better flavor. 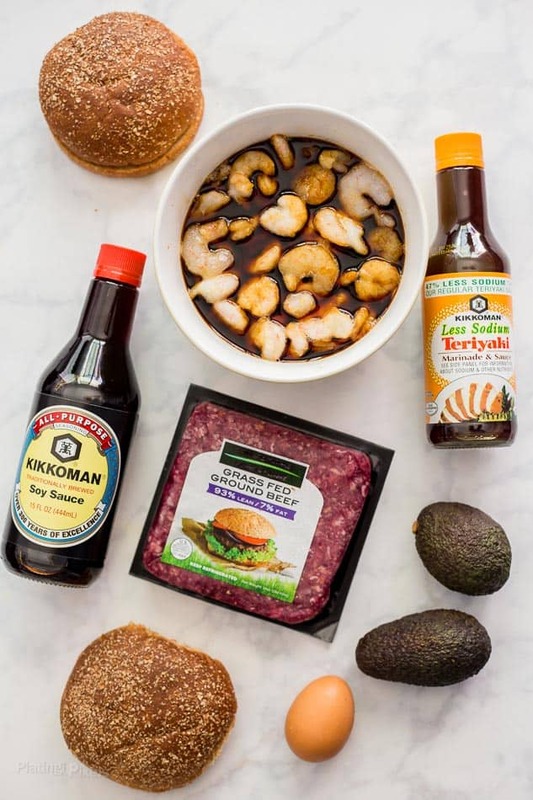 To make these Grilled Teriyaki Surf and Turf Burgers even more flavorful and healthy, go with grass fed organic ground beef. I also added soy sauce. It’s similar to adding worcestershire sauce in that it brings out the flavor of the meat and adds saltiness. 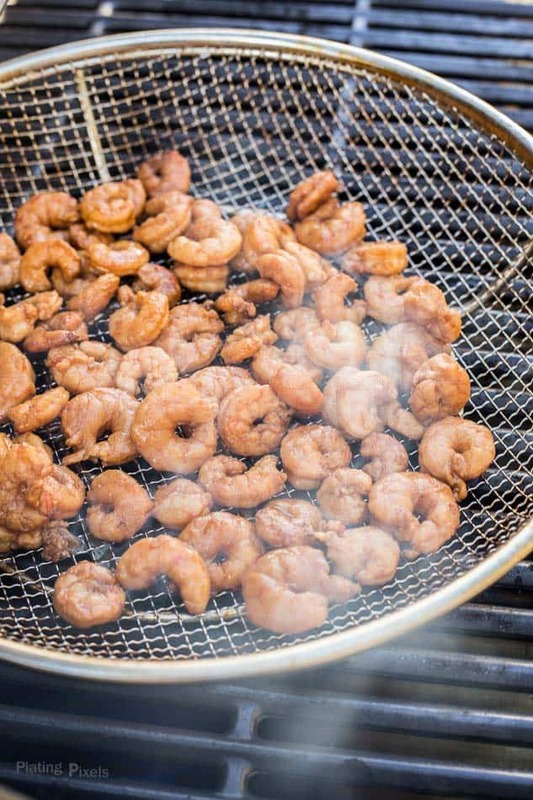 The soy sauce works better with this recipe to compliment the teriyaki shrimp. They also offer less sodium and gluten-free varieties. 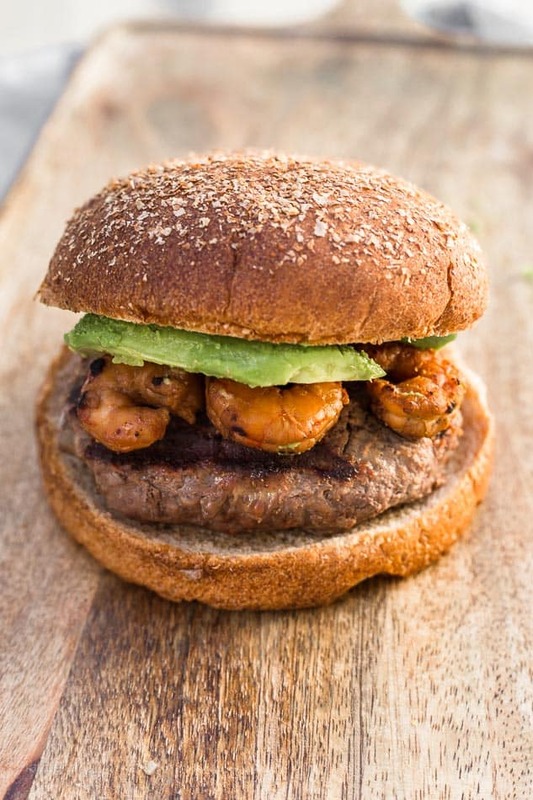 Once the shrimp and burger patties are grilled, simply add to buns and top with sliced avocado for homemade Grilled Teriyaki Surf and Turf Burgers. These are a unique way to enjoy the summer, and will be a hit with your family or at your next outdoor gathering. Teriyaki marinated shrimp, beef and avocado. It's Surf 'N Turf made easy. Place shrimp and marinade in a bowl, cover and chill at least one hour or overnight. Preheat grill to medium-high heat. In a large bowl stir together ground beef, egg, soy sauce, garlic powder, salt and pepper until combined. Form into four patties and let sit at room temp for 15-30 minutes. Lightly grease grill and add patties. Cook 4-5 minutes each side, or until until center reaches desired doneness and outsides have grill marks. Remove and lightly cover with foil to keep warm. Meanwhile: Drain and discard liquid from shrimp. Grill 4-5 minutes, rotating midway, or until opaque and cooked through. Toast buns if desired. 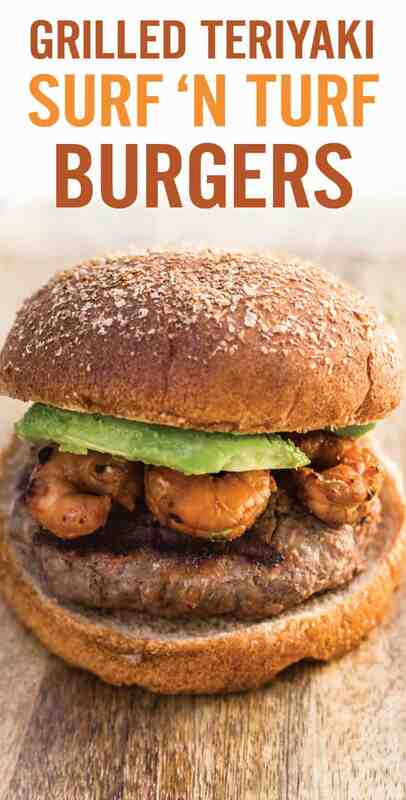 Top each with burger patty, shrimp and avocado slices.